You know as well as I that student boredom is the number one reason for students to quit karate. 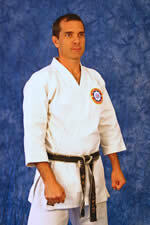 As karate instructors we have the responsibility to keep our students motivated, focused and working hard. However some students would rather watch paint dry than do basic reps. So how do you keep your class interested and still get them to do basic repetitions with the passion they once had? It’s easy… just involve them in the learning process. I’ll say that again just in case you missed it. Involve them in the learning process. This keeps them ENGAGED and INTERESTED and keeps BOREDOM on lock-down. For example, instead of simply having your class do 20 lunge punches, followed by 20 front kicks, and then 20 back kicks, ask for your students’ involvement. 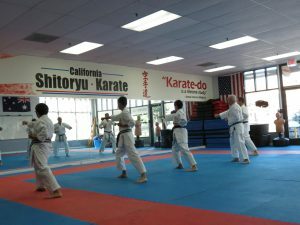 Here’s what a typical day at my dojo might sound like during the basic repetition portion of class. “Who can name one hand technique?”, I ask. Once my class is done with the first set of 10 reps for this new combination, we switch sides and repeat. Then it’s on to the next one. “Ready, step forward into your fighting stance, kamae-te!”, I shout. This is a great way for you to have your students do their basic reps every class but with a twist. They never know exactly what the combination will be, so that keeps them focused and interested. It’s also a great cognitive karate exercise because they are challenged mentally to put together combinations they may never have practiced or thought about before. Your class will always be challenged no matter the skill level or experience. What other ways can you think of to modify this exercise? Your feedback and comments are always welcome.